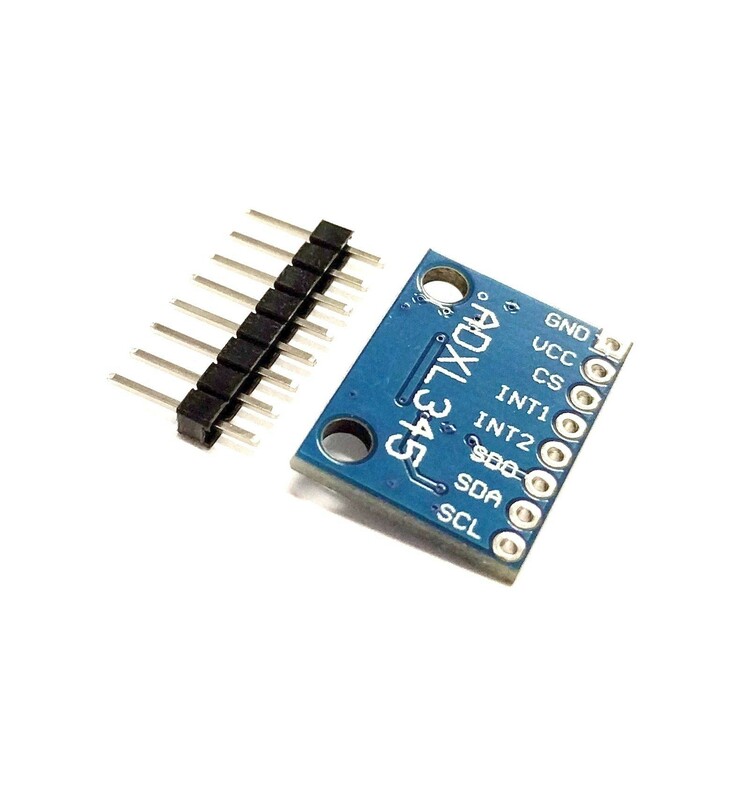 The GY-291 module contains an ADXL345 accelerometer IC. This small, thin, ultralow power, 3-axis accelerometer has a high resolution (13-bit) measurement with adjustable range up to ±16 g. Digital output data is formatted as 16-bit twos complement and is accessible through either a SPI (3- or 4-wire) or I2C digital interface. 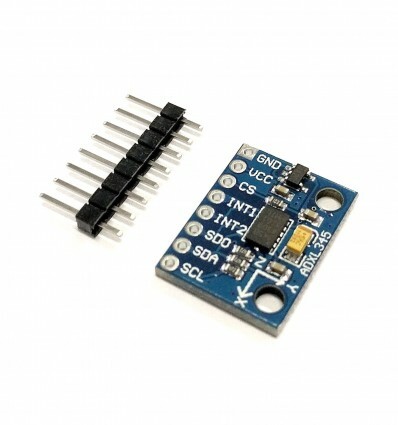 This module measures the static acceleration of gravity in tilt-sensing applications, as well as dynamic acceleration resulting from motion or shock. With high resolution (4 mg/LSB) output, it enables measurement of inclination changes less than 1.0°. Several special sensing functions are provided by the IC. Activity and inactivity sensing detect the presence or lack of motion by comparing the acceleration on any axis with user-set thresholds. Tap sensing detects single and double taps in any direction. Freefall sensing detects if the device is falling. These functions can be mapped individually to either of two interrupt output pins. An integrated, patent pending memory management system with a 32-level first in, first out (FIFO) buffer can be used to store data to minimize host processor activity and lower overall system power consumption. Low power modes enable intelligent motion-based power management with threshold sensing and active acceleration measurement at extremely low power dissipation.